Youth4Nature – Take Action in Stanley Park! 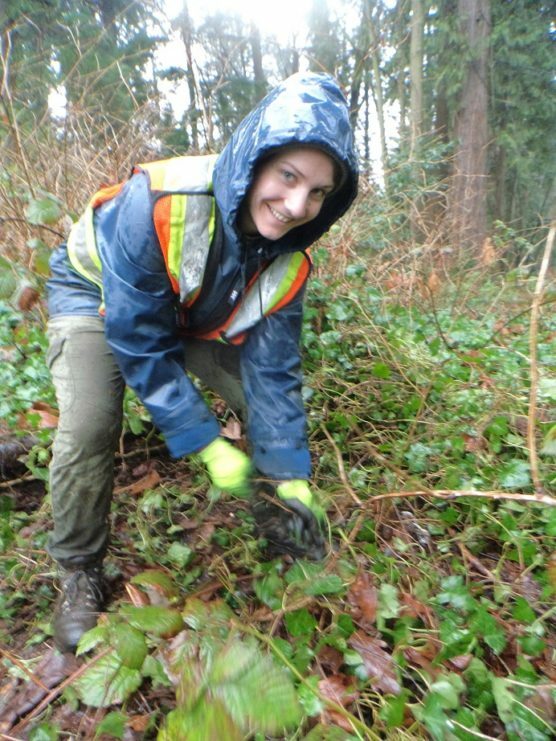 Featured » Youth4Nature – Take Action in Stanley Park! Grab your friends, get outdoors, and make a real difference for nature in Stanley Park! We invite youth, ages 13 to 30, to help us take action against invasive species in the world’s best urban park! WHY: Himalayan blackberry, English ivy, and morning glory alter native habitat, displace native species, and reduce biodiversity in Stanley Park. Your efforts will help protect the ecological integrity of the Park and benefit native ecosystems and wildlife. And it’s FUN! WHAT: Learn about local invasive plant species while gaining hands-on experience with their removal. Pull, dig and clip them out! Gloves and tools provided. HOW: Join EcoStewards on the second and fourth Saturday of every month from 10:00 a.m. – 1:00 p.m., rain or shine.